Cricket: The Ashes: Is it me, or did The Cricket Show go to a new low? On Day 4 of the Boxing Day test, high profile Southern Stars cricketers (the Australian women’s team) were guests on The Cricket Show, Channel 9’s lunch break segment. The two players were opening batsman and vice-captain Meg Lanning, and dual international Ellyse Perry. With the Women’s Ashes starting on January the 10th, and Channel 9 telecasting the three Twenty20 games in January/February, now was the perfect chance to promote the players and quality of the team. Instead, it was a debacle for six minutes. Michael Slater and Michael Vaughan fronted up to the cameras, and from there it was pure agony to watch. Either Slater was trying to make a very lame joke, or he genuinely did not know how the Australian women’s team has been going. It was incredibly awkward for all involved. Rather than delve into the team preparation, routine and current form, Slater instead started, and then rambled, like he knew very little. Right off the bat he asked “we hold the Ashes, don’t we?” His response was a round of giggles. Every “conversation” looked awkward in tone and delivery. Slater took complete charge, and Vaughan barely uttered a whisper after his query. “Genuine but clichéd” is the most apt way to describe it; good questions but completely overused. Trying to show off the “glamour” did not work either. While those at the ground could not see the show, those watching at home were front and centre to something that had zero relation to cricket: revealing model photos and videos. Cue more awkward shifting on stools from Lanning and Perry. Looking at pictures of female cricketers half clothed and posing does not add to the spectacle of the game. It only raises eyebrows. Whether or not it was staged or simply the script, the real winners were Meg and Ellyse. Both took everything in their stride despite all the crooning going on, Slater could simply not stop grinning. One opportunity was all that was needed to look at the careers of two very good quality players and look at them in preparation to the upcoming series. But no, they turned it into a laughing stock of a segment that did nothing for me, a big advocate of women’s cricket. The Cricket Show once was good, with informative segments such as coaching tips in the nets and a constant stream of past or current players. It’s changed to a mode of lame entertainment. Cringe worthy to watch, next time any female cricketers guest star, a bit of preparation would be nice. The Southern Stars represent a rapidly growing part of Australian cricket, and they were, sadly, let down. ← Cricket: The Ashes: A change in the commentary side perhaps? 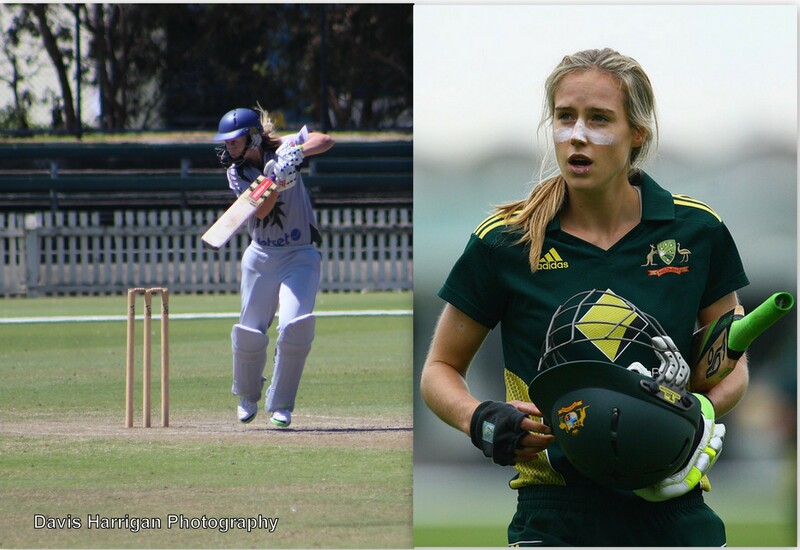 Note that Ellyse Perry was the first one to mention the men’s team – it wasn’t driven by Slats. I also wonder if the question about the current holders of the Ashes was scripted? Everyone knows England won it, in the ladies’ game. I found it a pleasant change. If anything, it’s a step in the right direction. Whether or not it was Perry, there was still an edge about the rest of it that screamed sexism, especially the modelling shots. It just wasn’t a good image that’s all. I imagine the Ashes question was scripted, but it simply fell through. That’s all!